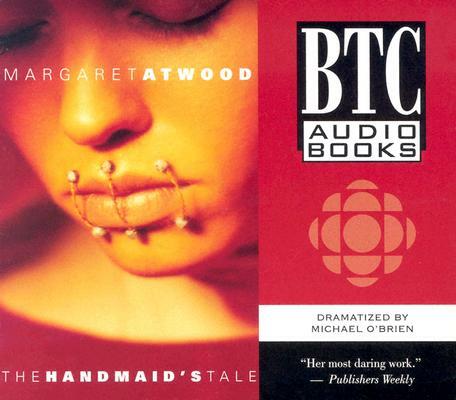 Fans of Margaret Atwood's fiction can now experience The Handmaid's Tale as a gripping audio dramatization. Starring Emma Campbell as Offred, William B. Davis as the Commander, and Donna Goodhand as the Commander's barren wife Serena Joy, this stunning production of Atwood's Booker Prize-nominated work of speculative fiction was an instant hit when it first aired in 2002. A feminist Nineteen Eighty-Four, The Handmaid's Tale portrays the future as a chilling dystopia in which religious extremists rule the United States and birth rates are plunging. Assigned to a member of the Gilead elite as an official breeder, the handmaid Offred mingles memories of her old life in the 1980s with dangerous thoughts of rebellion and escape. Audaciously imaginative, The Handmaid's Tale combines the suspence of a psychological thriller with a bittersweet love story.